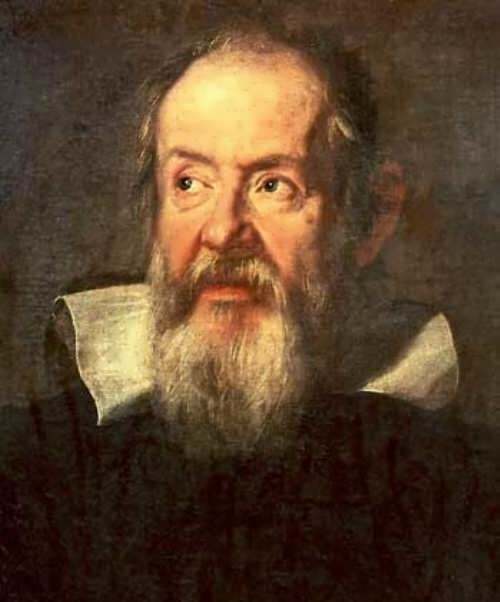 Galileo Galilei was an Italian physicist, engineer, astronomer, philosopher and mathematician. 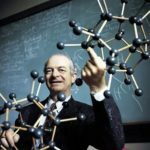 He had a significant impact on the science of his time. 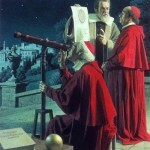 It was he who first used the telescope to observe celestial bodies. 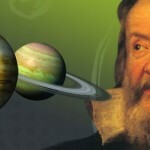 Galileo made a series of outstanding astronomical discoveries. 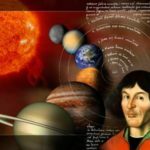 During his lifetime he was known as an active supporter of the heliocentric system of the world, that’s why he had a serious conflict with the Catholic Church. 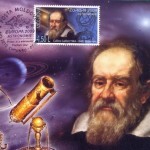 Galileo was born on February 15, 1564 in Pisa. 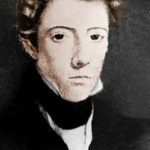 He was the son of composer and music theorist Vincenzo Galilei. Galileo studied at a monastery near Florence. In 1581 he entered the University of Pisa where he studied medicine. Due to lack of funds he was unable to complete a degree at the university. 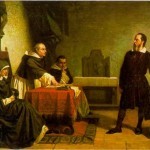 During his years there, Galileo wrote several volumes of notes on scientific subjects. 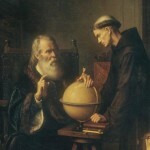 Galileo gained a scientific reputation throughout Italy with the hydrostatic balance. 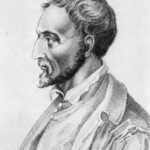 He became professor of mathematics at Padua University in Pisa in 1592. 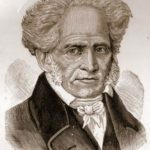 He conducted experiments with falling objects. He climbed the leaning tower of Pisa and dropped objects of various weights. Galileo fell in love with Maria Gamba. 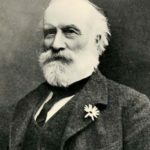 While never married, they did have three children. 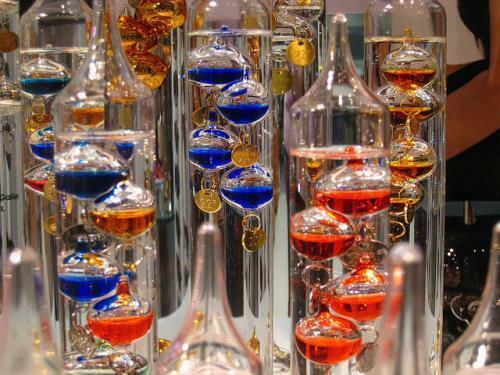 In 1593, Galileo invented the thermometer. 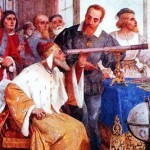 In 1609 Galileo heard that scientists in Holland had invented a new device called the telescope. He perfected it for the study of heavenly bodies and became the first man to turn his telescope to the night sky. His discoveries changed mankind’s idea of the world forever. He saw mountains and craters on the moon, rings around Saturn, moons around Jupiter and lots and lots of unknown stars. Catholic Church was against his idea that the Earth was not the center of the universe. He was forced to stop his study. Galileo spent his final years under house arrest, but his ideas spread, influenced other thinkers, and became part of the foundation of modern science. 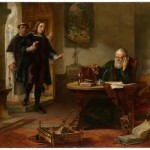 Galilei died on January 8, 1642 in Arcetri. – A lunar crater 15 kilometers in diameter is named in honor of Galileo. 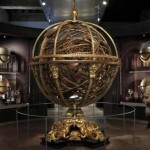 It is located just west of the one named for Copernicus. – Galileo thought that Saturn had 2 moons. In fact, this planet has 61 moons. – In 1610 Galileo first discovered the four largest moons of Jupiter. Today, the number of known moons around the planet is 63. 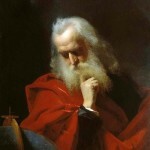 – In 1992, the church formally and publicly cleared Galileo of any wrongdoing, 350 years after his death.